The YouTube superstar, social influencer, and all-around entrepreneur shares the essential, mood-boosting way she starts each day. 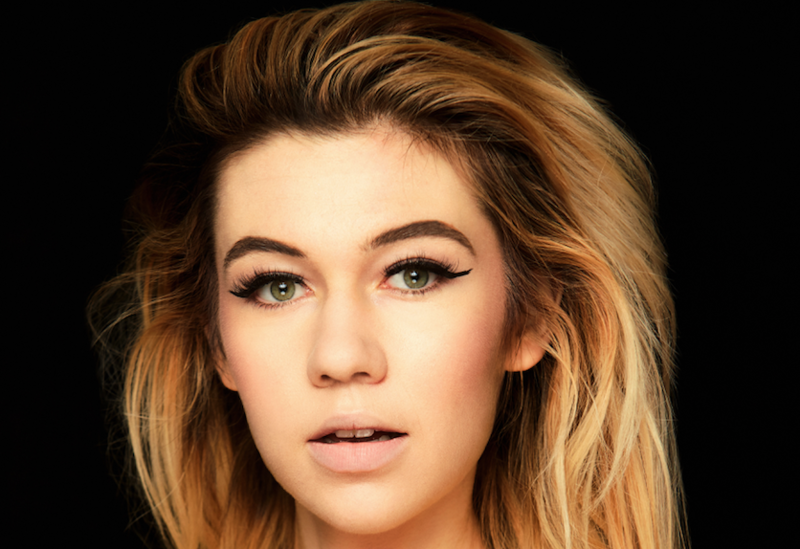 Jessie Paege is a YouTube superstar, social influencer, actress, author, musician and all around entrepreneur. She is an advocate for mental health and a strong ally to the LGBT+ community. Jessie has amassed a following of over 2.9 million followers across her social channels and has racked up over 76 million views to her YouTube channel. Each week Jessie uploads a video for her 1.495m+ subscribers; her videos range from encouraging mental health awareness, comedic sketches, music videos and more. Jessie Paege: I always get water! It’s incredibly important and improves my mood and health. TG: What’s your favorite song to rock out to on a relaxing weekend? JP: I love listening to “Hotel California” by the Eagles! JP: When I’m around uplifting and motivating people, I thrive the most. I love being around people that just have beautiful souls that bring out the best in you. JP: Podcasts will change your life. Instead of listening to the same song 100 times, I’ve started listening to productive and motivating podcasts. TG: Who is your role model right now? JP: Emma Watson will always be my role model. I love her stance on women’s rights and the intelligent insight she shares about femininity and respect. JP: Looking for Alaska is an incredible and touching story that changed my perspective on love and relationships. JP: I’m on my phone a lot, but I’ve been trying to turn off more. I definitely have a negative and addictive relationship with it and am working on it currently for my own mental health. JP: I try to have designated times to check email as well as social media so that I have a better relationship with these outlets. It allows for me to have space and to know myself without my work and social media while getting things done. JP: I can be found playing electric guitar! JP: It happened a few days ago! I tend to overcommit because I love the opportunities I get. However, in order for me to enjoy those opportunities, I can’t be burnt out. TG: What’s one thing your fans don’t know about you, but you wish they did? JP: I think my audience doesn’t always see exactly as to how hard I work! I don’t document that or talk about it, but my work is truly such a massive part of my life. JP: Creatively, I’ll have issues taking my ideas and making them coherent. They’ll make sense in my head, but they’ll be proven difficult to execute. The best thing is to start fresh and remember a bad day isn’t a bad lifetime. JP: “Peace will win and fear will lose”. Most recently in March 2018, Jessie released her sophomore book, “Think Beyond Pink” which centers on empowering readers to look past any negativity in their life, flex their imaginations and find the chill they need to be their boldest selves. This coloring and activity book lets readers battle the procrastination maze, create a personal oasis, design magical creatures, discover sources of self-confidence and create the lockscreens of their dreams. Jessie released her first book in November 2017, “Hey, It’s Okay To Be You”, an activity journal which centers on topics surrounding mental health, breaking stereotypes and spreading the message of self-acceptance. The book spent multiple weeks as the best selling new release on Amazon and broke records with her publisher, Sizzle Press. Jessie will next be seen in the horror film, “Followers” and has a slew of projects that will be announced soon. During the summer of 2016 Jessie was a member of Fullscreen’s 2nd Annual “Girls Night In Tour.” She spent August and September touring the country and stopping off in 24 different cities, meeting and performing for her fans. The Girl’s Night In crew performed to sold out crowds nearly every night. The tour gave Jessie the ability to step out of her comfort zone and get on stage and be a true rock star. Jessie has served as an ambassador for Clean & Clear and has worked with other brands such as Converse, Pandora and Proactiv.